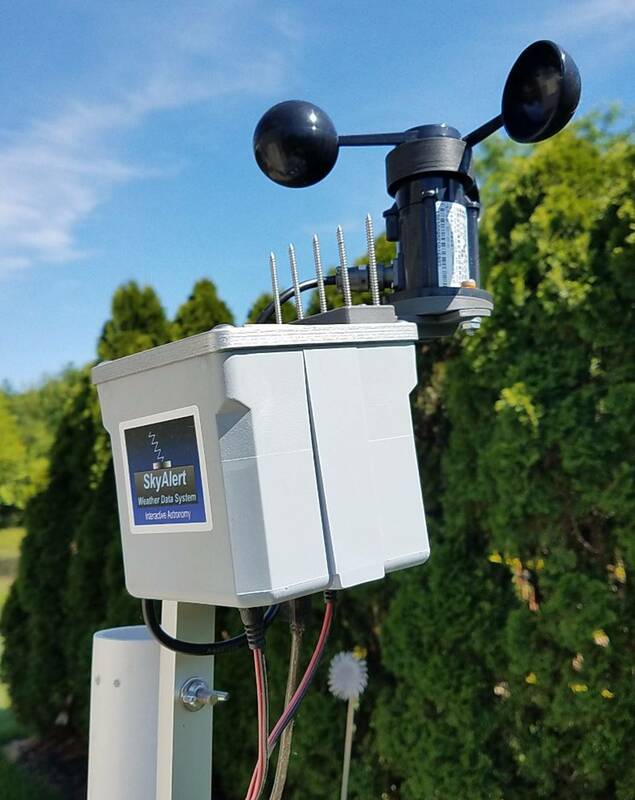 This review is a side-by-side comparison of the Boltwood II Cloud Sensor from Diffraction Limited/Cynagon , and the SkyAlert Cloud Sensor from Interactive Astronomy. Both units were purchased new by the author. The sellers were not made aware that I would be doing a review of their products, so no temptation was held to send me anything other than a typical unit. I have BS in Earth Sciences, worked in meteorology for the U.S. National Weather Service, upper-air meteorology for the U.S. Army, and aviation weather for both passenger and cargo airlines. I hold Commercial pilot with airplane single and mulit-engine land instrument ratings and a flight dispatcher certificate from the Federal Aviation Administration, and am a past member of the American Meteorological Society. In short, I have a vast amount, over 40 years, of meteorological experience. Astronomy was my first love. When I started looking through a telescope the CCD had not yet been invented. My path through astronomy started with visual observing and sketching, then film astrophotograpy, then to CCD imaging (staring with the home built CCD Cookbook camera). I traveled to South America to see Comet Halley in 1986, have viewed two total solar eclipses, discovered one asteroid and thirteen variable stars, and produced dozens of minor planet and variable star lightcurves for the Minor Planet Bulletin and the AAVSO. Both the products discussed in this review are meant to serve as a first line of defense against inclement weather wreaking havoc with an unattended telescope. Seemingly specifically designed to protect an observatory (whether local or remote) with a motorized roof, they also serve to keep the observer in touch with the weather at the telescope even if the observer is only a few feet away. While visual observers likely won’t find much utility is such systems, imagers that want to make the most of every minute of darkness will find such product near-indispensable. In my case, I usually sit on a single target all night, taking image after image. Needing my sleep, I will usually go to bed long before the night’s imaging session is over. In the past that was an exercise in faith and hope, as the possibility of precipitation and high winds popping-up and doing bad things to expensive equipment was often in the back of my mind. With products such as these I can literally sleep better knowing that I can expect a decent warning before bad weather moves in. Both these products serve as weather stations of sorts. What they lack is measuring wind direction and the amount of precipitation, i.e. a “rain gauge”, and for their intended use these features are not of particular value. A feature they have that’s normally not part of a consumer level weather station is the ability to measure the sky temperature, and derive the presence of clouds. This is done by comparing the ambient air temperature with the sky ambient temperature, performing the necessary math, and presenting the user with an indication of cloud cover. These units also have moisture sensors that can detect liquid percipitation as well as snow, sleet and the like. It’s unknown if either unit can detect hail, but since the presence of hail is closely linked with rain, high winds and low clouds, sufficient warning should be available to the observer to take action, or to let the software of each product to close the roof of the observatory before significant damage may occur. 1. The Boltwood II uses a “hot wire” type anemometer. It has no moving parts, but in my experience lacks in accuracy. The SkyAlert has two wind speed options, the default thermal anemometer, or a 3 cup anemometer available as an extra cost add on. I have the 3 cup mechanical anemometer version, and no experience with the static sensor option. 2. The Clarity II software that comes with the Boltwood II allows a very limited ability to customize the graph (seven options). The SkyAlert Graph has dozens of customizable options. 3. Per the Boltwood II Users Manual remote operation is possible with software the user must write, or obtain from a third party. The Users Manual also states that “running on via [sic] some form of remote console software from another computer, there can be problems”. SkyAlert has a free utility that can be downloaded from their web site to allow remote operation. The author uses this, and it functions as advertised. 4. Longer cable lengths are available from both manufacturers. 5. The Boltwood II Users Manual states that the adapter box “should work at 12 V but has not been tested.  Contact Cyanogen”. 6. The Boltwood II Users Manual gives the operational limitations of the adapter box as -0C to +40C, however in the WARNINGS section of the manual paragraph “g” states “The adapter box is for indoor climate only.” Indoor climate conditions are not defined in the manual. 7. The Boltwood II Users Manual says that the device can “Provide the Cloud Sensor II’s data via a COM (ActiveX) or a file interface, to other software.” No list of “other software” is provided. 8. This feature is available if the user has the SkyRoof software installed and working with the SkyAlert unit. The Boltwood II software may command a roof close that in some circumstances could strike the telescope. 9. With DL you can post a customer service request on their forum, and someone will (or may) get back with you at some time. With Interactive Astronomy you can expect an email, if not a phone call from the owner, within an hour or so. Both units perform their basic functions as advertised, with the exception of the anemometer on the Boltwood II. It could be that the no-moving-part anemometer on the SkyAlert unit works as poorly as the Boltwood II anemometer. I don’t have that version so I can’t comment on it. The Boltwood unit would consistently show a 3 to 4 MPH wind while the atmosphere was completely calm, and would occasionally show an 18 to 20 MPH wind when the true wind speed was in the 12 to 14 MPH range. Having been running the Boltwood II and SkyAlert units side by side for several weeks, the SkyAlert unit is, in my mind, clearly the better value. It can be used remotely with free software, provides highly customizable graphing, email and SMS alerts and allows the user to calibrate sensors. It has FTP functionality than can load a graph of weather conditions to a web page. All sensors are field replaceable. The SkyAlert unit comes with a 30 day money back guarantee. The Boltwood II has none of these features or benefits. Probably of most benefit to a true “remote user” is the capability of SkyAlert (with the optional SkyRoof software installed) to send a park command to the telescope before closing the roof. To those using a rool-off roof observatory, where when in operation the telescope is above the roof line, this feature can move the telescope to a safe position for roof closing. The Boltwood II has no such documented capability, and could result in the roof striking the telescope during a software-commanded roof close. Best of all, the basic SkyAlert unit (without the 3 cup anemometer option) costs $749. The Boltwood II with the shortest cable option costs $1,795. Thanks for such a thorough review. Very helpful to decide what option would work best for me. I looked on the site for the Skyalert system and didn't see the spinning anemometer option listed. Is that something you asked for specifically? I see other options like power monitoring, but not that spinning version of the meter. It's nice that someone would do a thorough review of two items that the regular magazines/sites probably would pass-over in favour of a telescope or mount review. Good work. The price difference of these units is considerable, but professional weather instruments from companies like Vaisala or Campbell Scientific is a lot higher still. Disclaimer, I have no direct connection with any of the above companies other than having purchased the Sky Alert and Sky Roof for my ROR a few years back. When I have a problem (mostly self inflicted and not related to his products) and leave him an email he responds within minutes and in most cases phones me back in less than an hour...then he will ask for my Teamviewer code and fix the program himself...as many times as needed and never EVER with anything less than a positive attitude and enthusiasm for his product. His Sky Alert saved my very expensive equipment so many times I lost count. I set it forget it and it works, every time, all the time. Oh yes, one of the sensors went bad after 2 years and he fixed it..free of charge (I insisted I pay for the postage and I will but so far he hasn't even billed me for that). You're not only buying a great product but your also buying the kind of support that really doesn't exist anymore. I'm curious about this, too. Boltwood sensor is supported in Prism. Both anyway measure the temperature of the sky with an IR sensor, and therefore can't see cirrus clouds which are very high and therefore very cold. When doing photometry you want of course no clouds, including no cirrus. Best way so far is to have an all sky camera with a software able to count the visible stars in the image, and see a drop when there are clouds. I don't know if many all sky cams do that, but the one I use does (see https://hyperion-astronomy.com/alphea ). First, I live in a place where clouds are rare (the second image from the left on the above page is from my all sky), I have a weather station, mostly for the wind indication. Don't use IR sensors anymore. And the all sky cam can tell me if there are clouds or not. Normally not. I just sent an email to Jim Collins and got a response in a few minutes. The three vane anemometer IS available but has not been added to the web site yet. It is an additional $195 and he can add it to the PayPal with a link. I am just setting up my observatory in NM but one thing is for sure: if you don't have clouds, clouds aren't a problem. If you do there is a lot to consider before dumping a shooting session and/or slamming the roof closed. Thanks for doing this review. A welcome change to the cursory 4/5 star reviews that tell you very little. Very relevant to UK weather! The advance of technology leaves no prisoners. Thanks John for the informative comparison. 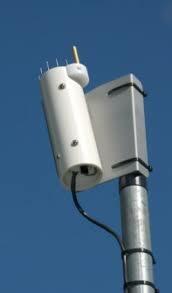 I've been considering adding a weather station and both of these systems are on my research list. I recently installed the SkyRoof on my observatory without any difficulties, and as others have mentioned, Jim Collins was very responsive throughout the entire process of questions to final installation. Looks like SkyAlert it is! Thanks for this wonderful review. I was just looking at getting a Boltwood 2 or the SkyAlert but I think after this review, I’ll get the latter. Now to research what Allsky camera is best! From this review I would be cautious in drawing a conclusion on comparative performance. Being a remote observatory controller, I was interested to read this, however, the questions I know that exist for an experienced user are not really based on the discussions above. My concern relates to whether or not the device worked correctly on detecting clouds? Did the device work correctly with large variations in sky temperature, for example, one day it was 5c ambient, and the next was 18c, but both nights it was clear? When you have swings in temperature, do you need to edit detection tolerances? Do you need to edit these tolerances throughout the year for these condition changes? What happened if the night was especially dewie, did the devices internal heater plus it intelligence correctly distinguish between rain and dew? How did they compare for measuring sky temperature? These are but a few questions I thought would be discussed, and if you have answers to these that would be great. But dont answer them unless you have daily monitored these two side by side, as assumptions are no good to publish. We regularly check weather station detection results to allsky timelapses, to ensure cloud detection was working in alignment to the conditions, have you done this to confirm they each detected cloud correctly? Cloud sensors may not be accurate all the time, so you need to adjust thresholds, have you needed to do that for either unit? Do you set their detection to conservative thresholds so to get the best safe performance out of these? Can either do scripts? For remote observatories, these are very important. These are automated actions that are the backbone of the system. Backyard users may think integrated mount control is handy, but this is not what I'd like to rely upon solely for a safe close. The wind speed variation mentioned is not that important at low speed, is it (unless your equipment is exposed, but even then, these low speed errors will not impact)? But, how accurate was the wind speed detection at 15km and above, say to at least 30km, when at that speed most observatories would start shuttling down? What third party device did you use to confirm the true wind speed? People who haven't had extended experience with weather station devices may incorrectly assume they just work as they expect them to work, but they dont. Perhaps you can give us more information on the above as you accumulate more information, it would be interesting to hear. Thanks for the effort so far. Great questions posed. I only have experience with Sky Alert and AAG Cloudwatcher (the AAG about 6 years ago and the Sky Alert for the last 5). It strikes me that the relatively simple calculation for "cloudy", Sky Temp - Ambient = Sky Condition, is not robust. As you indicated there are seasonal and daily situations that easily "trick" this calculation and any monitor that relies on this. The underlying determining algorithm for the AAG, as I understand it, is more robust and can be tuned to handle situations that fool other monitors. Jim and I spoke about ways to incorporate a better algorithm and anyone who has worked with Jim and Wes know that he sets the bar for responsiveness versus all other vendors (in my opinion). They tried a few things, but nothing made it past experimental phase. (Update, spoke with him today(13-Oct-2018) and they are going to take a look at it again maybe). What does the AAG that the others don't... I don't know the answer, but I believe it is not proprietary, but is based in part an a 1969 paper by Sherwood B. Idso Ray D. Jackson, "Thermal radiation from the atmosphere". I have a renewed interest in this because our needs have increase and I'd like to have something that does not have to be adjusted as much.